Hillsdale College’s Van Andel Graduate School of States­manship is hosting a pol­itics seminar on campus this week. The States­manship Col­lo­quium, which runs Oct. 4 – 6, is the first of its kind. It will give graduate stu­dents an oppor­tunity to expound their work and allow the college to showcase its graduate school. Orga­nized by Ronald Pestritto, pro­fessor of pol­itics, the sym­posium will begin with a keynote address delivered by Pro­fessor of History Paul Rahe. It will include three panel dis­cus­sions and a variety of breakout ses­sions. “The col­lo­quium is a cel­e­bration of stu­dents’ accom­plish­ments, a pre­sen­tation of what the graduate program does, and a gath­ering of old friends,” Rahe said. 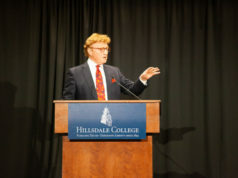 Hillsdale graduate and doc­toral stu­dents will sit on the panels, and faculty from uni­ver­sities throughout the country will lead the dis­cus­sions. Most vis­iting scholars will come from uni­ver­sities at which graduate and doc­toral stu­dents earned their under­graduate degrees. 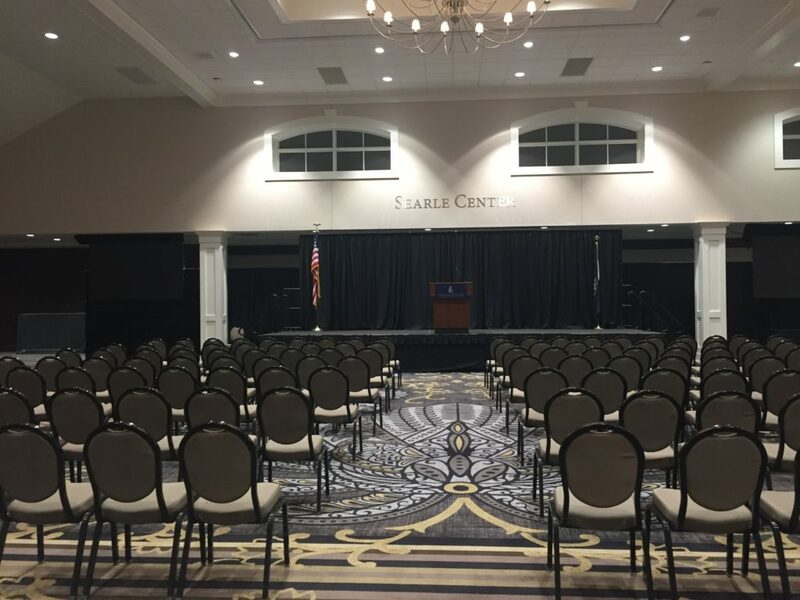 “It serves the purpose of expressing grat­itude to those pro­fessors who have sent us stu­dents [to Hillsdale],” said Clifford Humphrey, a graduate student. Anyone on campus is welcome to attend the sym­posium, and under­grad­uates are encouraged to attend. 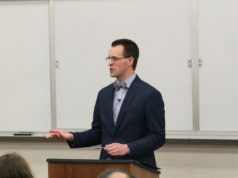 “Stu­dents who have an interest in political phi­losophy or American pol­itics espe­cially might enjoy the pre­sen­ta­tions,” said Graduate Student Thomas Tacoma. Faculty and stu­dents alike look forward to hearty and good-natured dis­cussion. 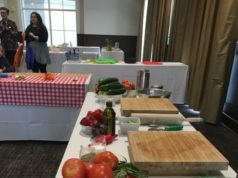 “I am glad the program is giving us a chance to have a break from our regular studies and remind us why we do what we do, to just have a good con­ver­sation with good people,” said Veronica Brooks, a graduate student. A schedule of speakers, topics, and loca­tions is posted on the college’s website. can we get a link to the site with the speaker listing?